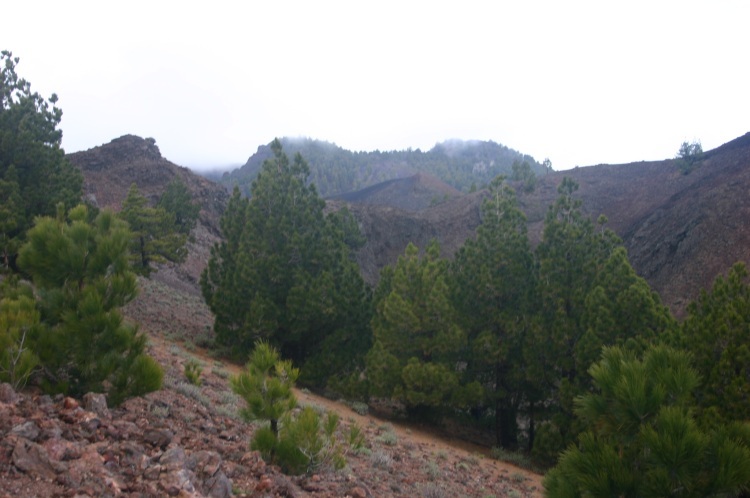 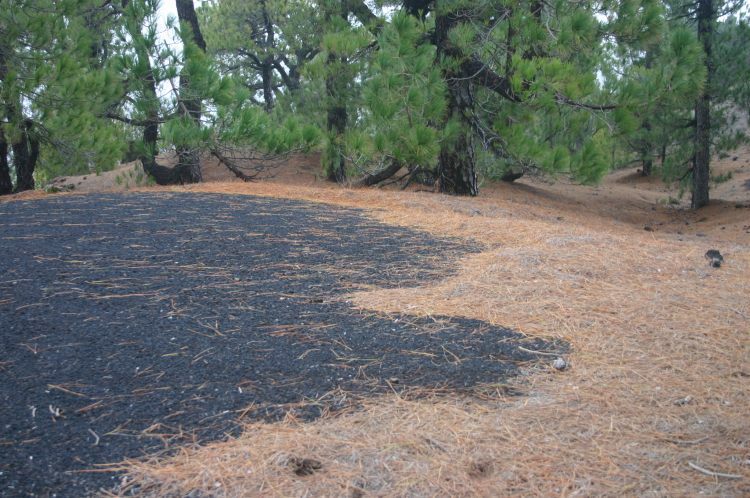 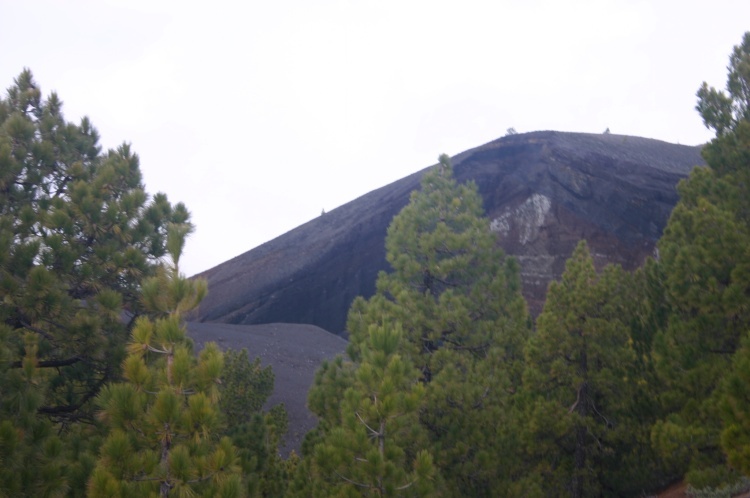 This trail winds among the remarkable line of craters and other volcanic features that form the central spine of La Palma. 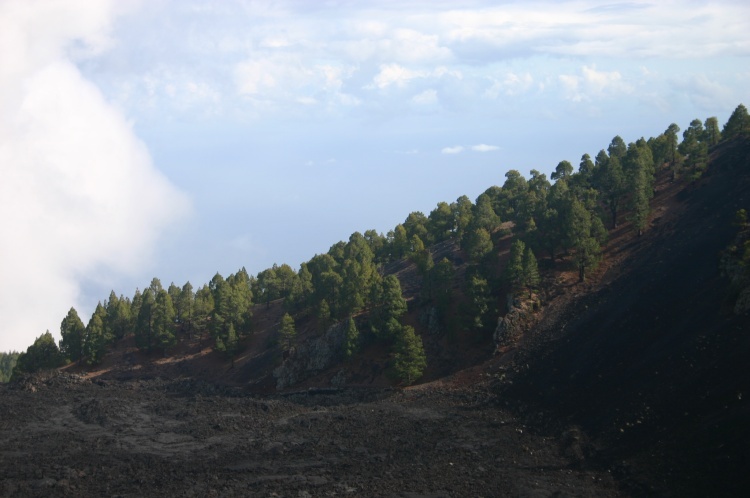 Weird formations, an array of blazing colours, sinisterly beautiful craters, stunted pines and other specialised vegetation: all with a backdrop of the sea, nearly 2,000m below. 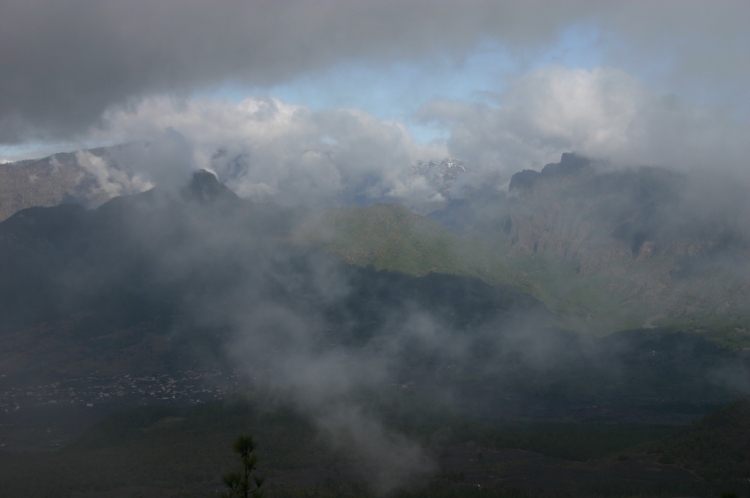 This is a thrilling day's walking through a rapidly changing array of natural wonders, with a constant backdrop of pine forests, the fields and villages of the lower slopes and far below and all around, the huge sheen of the North Atlantic - if you aren't above (or in) a sheet of cloud, of course. 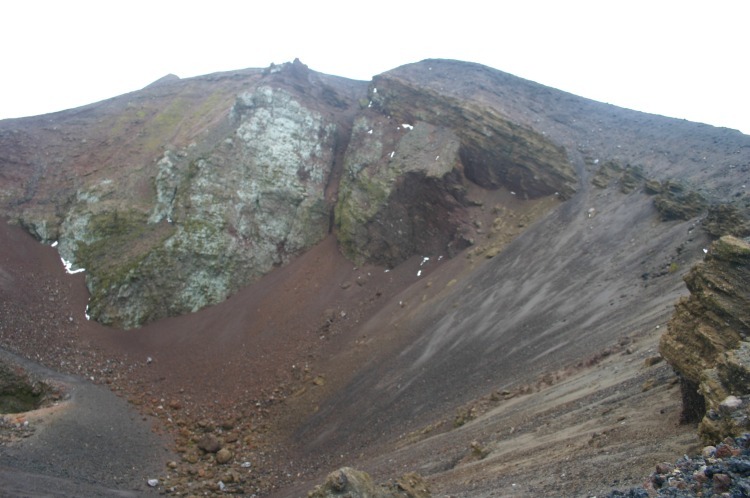 This is the second part of Volcanic Ridge one of our Top 100 Walks. 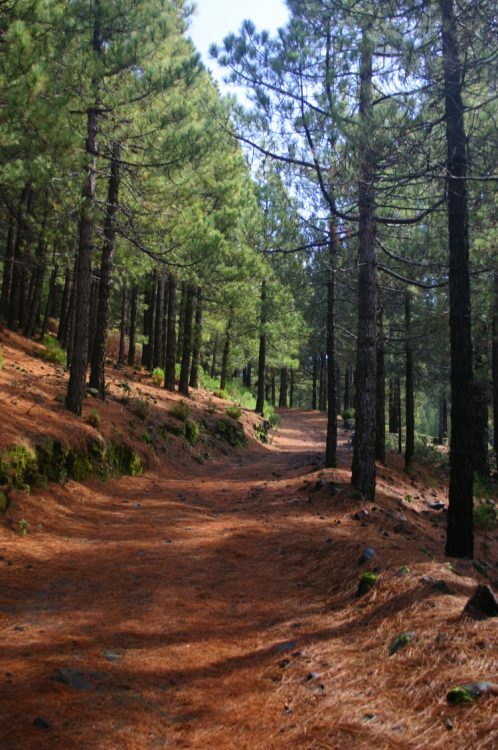 Starting at the middle-island pass at the Refugio El Pilar, the track climbs, steeply at first, through lovely old pine forest, with orange-brown needles underfoot. 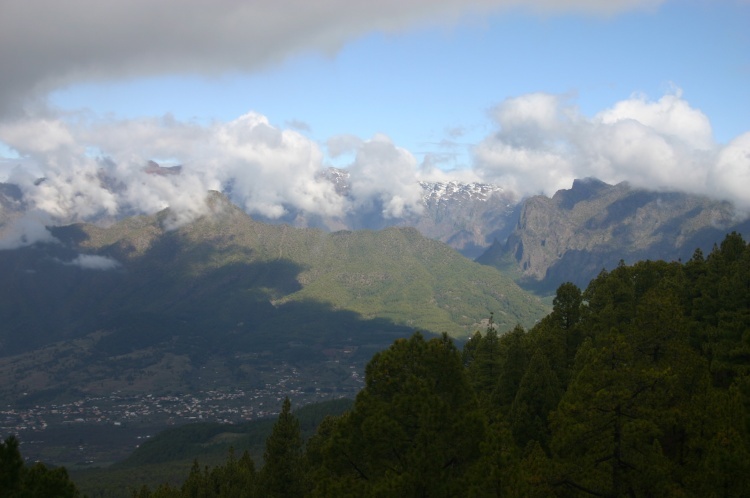 Then you are out, through a beautifully gradual thinning of the trees, onto high tussocky shrub land with huge views all round. 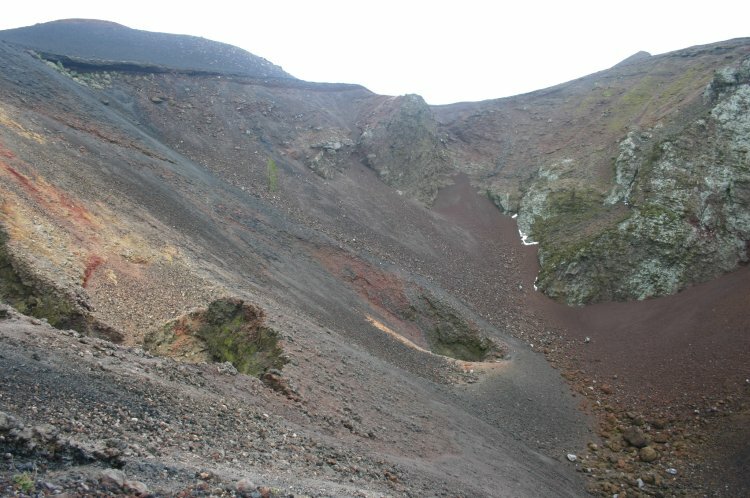 A further ascent gets you to the high ridge, where you will wind for several kilometres through an extraordinary selection of features and weird formations: blown-out craters, heaps of rock and cinder, lava lakes and great flows of lava gushing down the hillside dotted with stunted pines and other specialized vegetation. 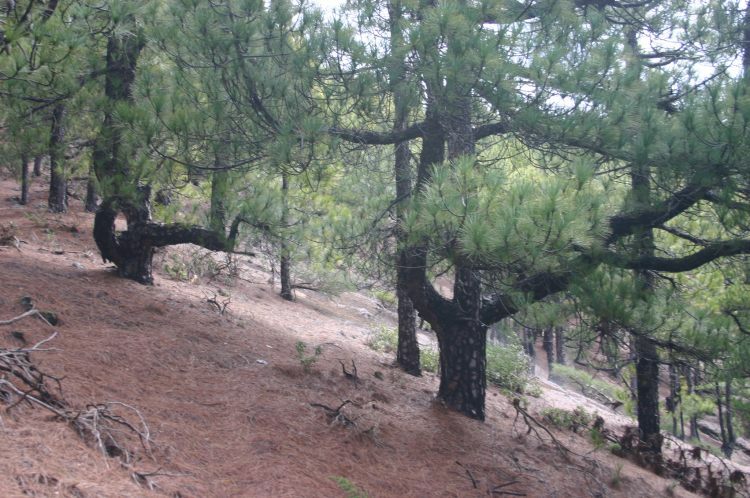 Colours range from dark wound-reds, to greens, brown and greys, much of it interspersed by the fresh green of the pines and the haze, sheen, or rough carpet (depending on the weather) of the distant sea. 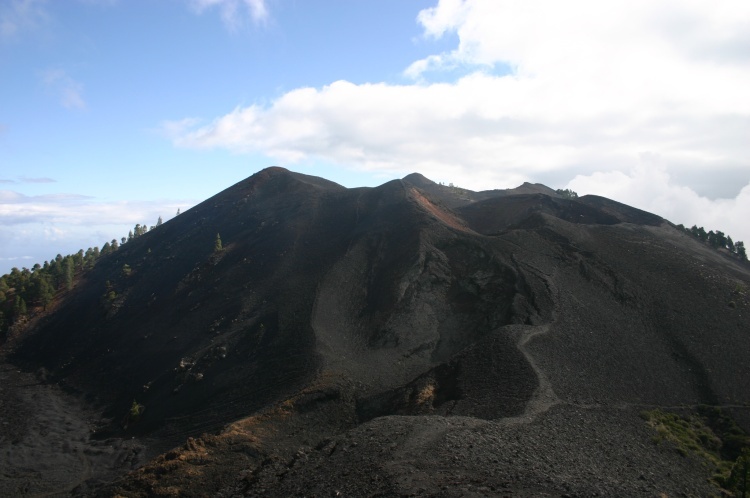 Much of this volcanic heart is one-ridge wide, so you are seldom out of sight of the sea. 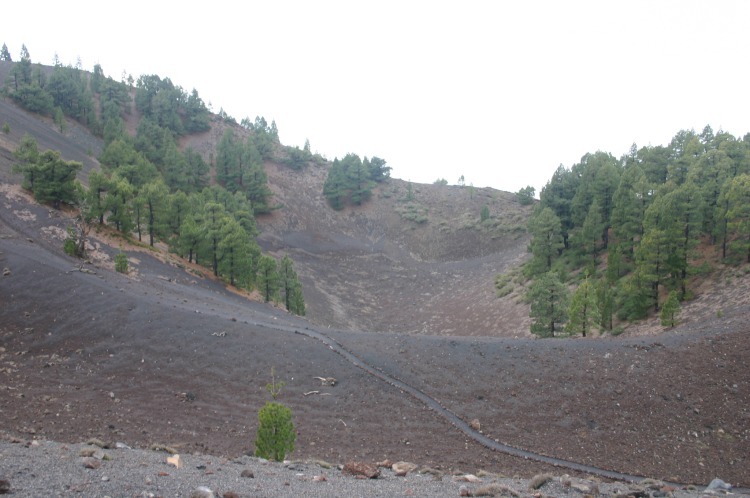 Eventually you descend from the main central shelf near Volcan Martin (we turned back here as we had a car to return to), then wind gloriously down through forests and ash slopes littered with craters and other features to the town of Los Canarios. 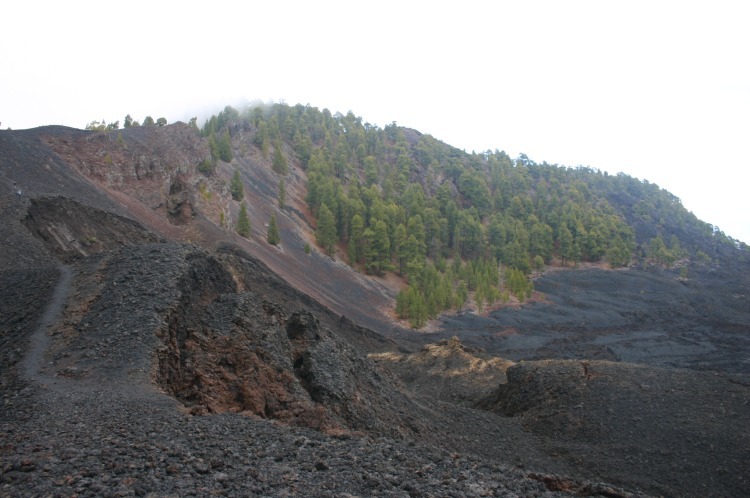 Gluttons for punishment can walk on down, past spectacular Volcan de San Antonio, through extravagantly desolate lava-lands to the southern cape. 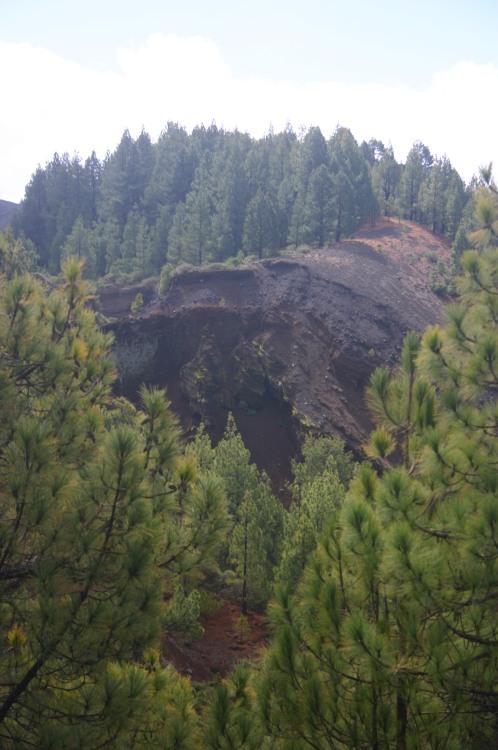 SEE OUR LA PALMA PAGE FOR INFORMATION AND OTHER WALKS ON THE ISLAND, FURTHER GENERAL AND PRACTICAL INFORMATION (AND SOME WARNINGS) AND PHOTOS.